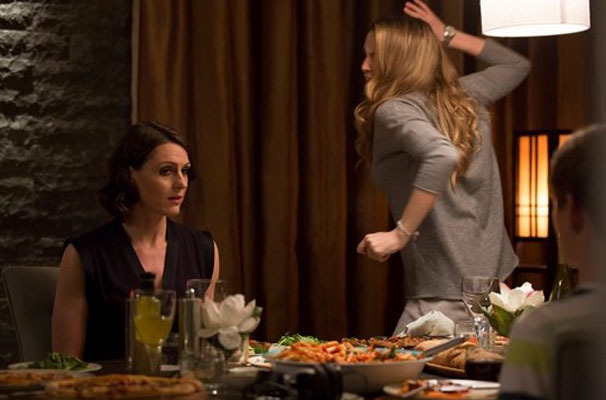 Doctor Foster II : Suranne talks to TV Times! More than 10 million of us tuned in to see scorned GP Gemma Foster’s private life implode in spectacular fashion in last year’s unforgettable finale of hit BBC1 drama Doctor Foster. But what could possibly happen next? ‘I can’t say much, only that most of the original cast are returning,’ Suranne tells TV Times Online. Which would suggest that Gemma’s cheating husband Simon (played by Bertie Carvel), who was last seen living a separate life with his pregnant mistress, is still on the scene? ‘Yes he is – as far as I know, that’s the plan,’ confirms Suranne. The Scott & Bailey star admits she had her doubts about signing up for a second series. ‘It was so successful, I just wondered what the hook would be to keep people coming back to this relationship. Suranne will be an Associate Producer on the hotly anticipated second series, which will once again air on BBC1. TV Times and millions of others cannot wait!